In the Jungle the danger awaits you at each step. Enemies are setting up traps everywhere! Hello everyone! 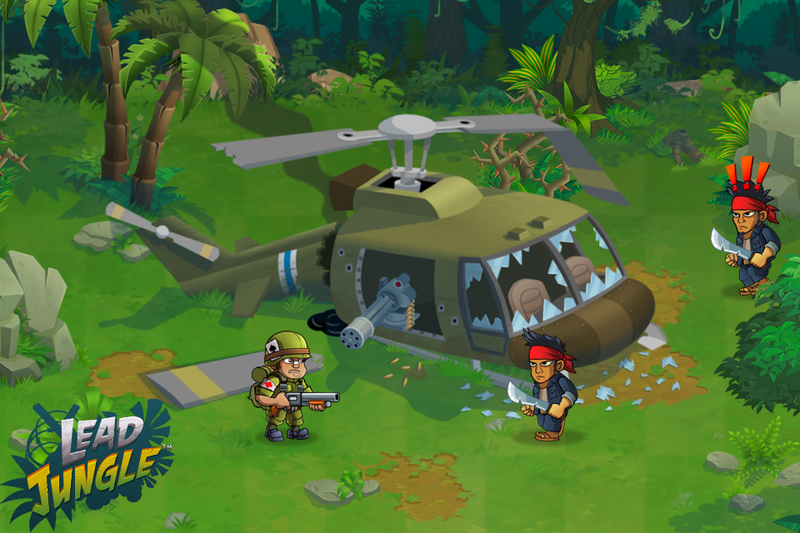 As we promised last month we are releasing debut trailer of Lead Jungle, so now you can see our game in action. Hope you liked what you saw. We would really like to know what you think, so write us a word or two. Until next time. Hello again, our dear followers. Today we will tell you more about the squad members. Grizzly - Major Gavin McNeill is brilliant squad leader despite of a harsh character. His natural durability in combat is a stuff of a barrack legends. When enraged Grizzly becomes the enemy's worst nightmare, well maybe not the worst one, but quite scary indeed. Ace - Private Allan Reed is a jack of all trades, he can drive a car, provide first medical aid, repair stuff in seconds. Also his beloved shotgun delivers quite a punch, he calls her Betty. Wraith - The past of the Scout Jayson Walker codename "Wraith" is highly classified as is his Spec-Ops training, Oops! I mean, Secret! Secret training... Anyway, his tracking skills, ability to move silently in jungle and marksmanship is a second to none. Don - Captain Donovan Sims is a heavy weapon expert and was always a silent type. Usually he uses high explosive rounds, mines and rockets to do the talking for him. Thats enough for now, next time we will present you the first glimpse of our game in action. As you know, team behind Lead Jungle has been working on the game for more than a year. But up until now we didn't even try to figure out a name for our team. Partly it is because the team has changed over time, and also because we were more concentrated on the game. But as we get closer to a release date we think it's a good time to name ourself. Long story short, we are proud to present you our company - AstroLizard! Hello, everyone! We are small experienced three man team currently working for the big game company. 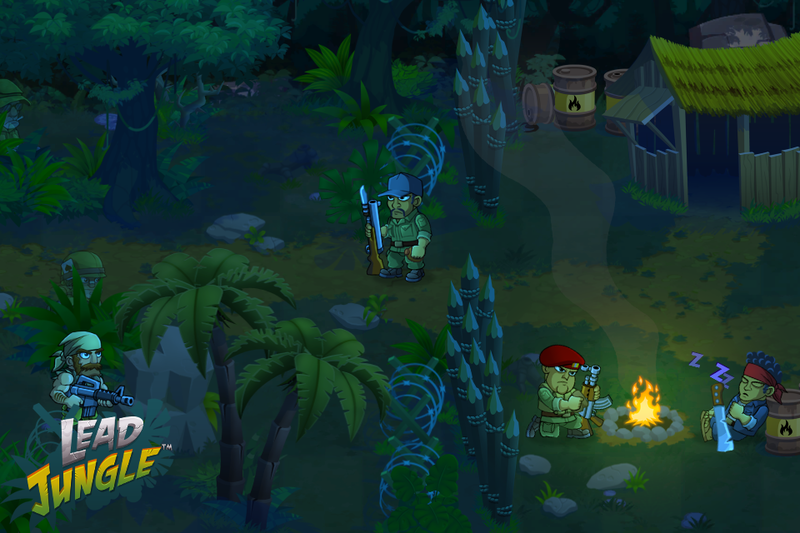 In our free time during last year we were developing our own small side-scrolling, 2D game called - Lead Jungle™. Our game is a squad based RTS and is all about guiding a squad of 4 elite commandos through dangerous jungle, full of natural and unnatural hazards. 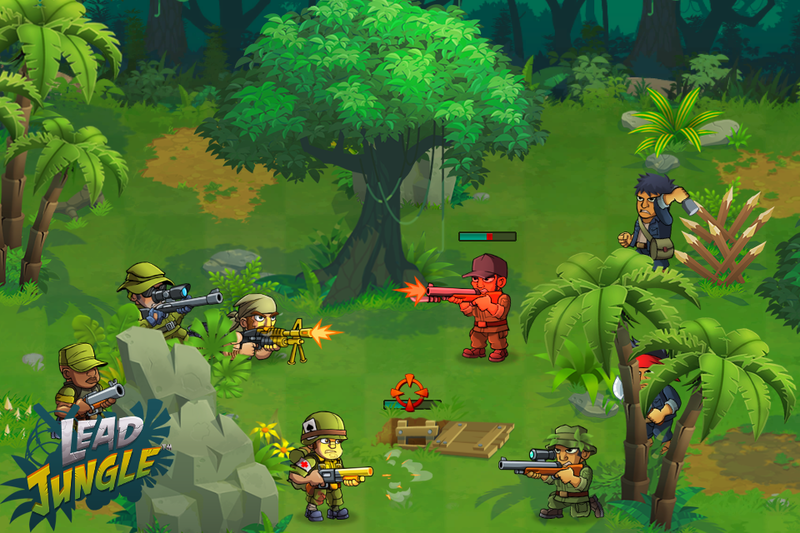 Each squad member possesses unique skills and weapons set, and serves its own tactical role. But enough of that a picture is worth a thousand words! Over 40 levels in main Story mode, full of unpredictable plot twists and some funny moments. Two additional gameplay modes. “Challenge” which is full of tricky puzzles and “Lasts Stand” where your squad is facing overwhelming odds. 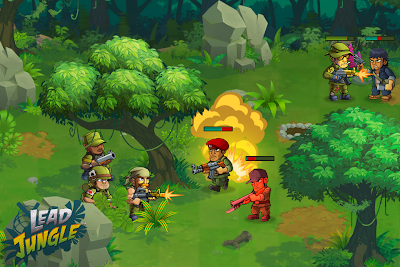 Unlockable uniforms which change skills of your soldiers, weapons, some squad roles and add enormous replay value. Day and night cycle, semi-destructible environment, death traps, tons of guns, bloodthirsty enemies, stealth kills. Platform: Mobiles, Tablets, PC and possibly consoles. Release Date: Late autumn 2013 or later. We will update our blog and social networks pages on a monthly basis. So follow us any way you like :) Also, feel free to ask any questions and tell us what you think. Copyright © 2013, All Rights Reserved. Powered by Blogger.